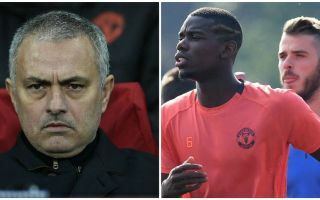 Reported difficulties between United’s main man Paul Pogba and manager José Mourinho have reached new heights this week following remarks made by the United midfielder on his manager’s tactics, social media posts, and Mourinho stripping him of his chance to captain his club. The fanfare at Manchester United is threatening to turn into football’s latest soap opera and isn’t just set to affect their performance in the Premier League, but also their attempts to break back into Europe’s elite. Paul Pogba, the prodigal, wayward son of United’s last FA Youth Cup winning side of 2011 returned to Old Trafford in the summer of 2016 as the then world’s most expensive player, amid a flurry of media interest and intense marketing activity on the part of Manchester United. But it’s not all been sunshine and roses since Pogba’s return. Pogba hasn’t been able to replicate the kind of form that made his mercurial rise to footballing stardom. The kind of form that saw him win four back to back Serie A titles, two Coppa Italias and make an appearance in a Champions League final. Then there’s Mourinho, the perennial divider of opinion. The self-proclaimed ‘Special One’ has heralded repeated success at every club he’s graced. From Champions League success at Porto and Inter, to league and cup success at Chelsea and Real Madrid. But Mourinho’s success also has a snag. The Portuguese hasn’t just fallen out with rivals, but more ferociously with his own employers, and even more damaging to his team – his players. A lot of the emphasis has been on United’s domestic form so far this season, and understandably so. They racked up back to back defeats against Brighton and Tottenham leaving them languishing in seventh place. They saw out an unimpressive draw to Wolves in the league last week, only to crash out of the Carabao Cup at home to Frank Lampard’s Derby County. But the big question is, how will these developments affect United’s Champions League campaign. Their form in Europe has been less than impressive since Alex Ferguson left in 2013, most recently exiting in the round of 16 when a plucky Sevilla side came to Old Trafford and spoiled their party. United are currently the bookies third favourite among the English teams to pick up the title this season, behind Manchester City and Liverpool. You can read more about how the Champions League betting odds have shifted after the first round of matches and what the bookies expect going forward. If you still haven’t backed a team then Bookiesbonuses.com is a great place to compare betting sites. United began with win in Switzerland against Young Boys last week. They’ll host Valencia at Old Trafford next Tuesday, and it would be wise for them to sort out their differences sharpish if they’re to stand any chance of making it out of a difficult group which also contains Italian giants Juventus. United have already been limping on the field of play for some time and a schism between Pogba and Mourinho could have catastrophic consequences for a club that desperately wants to challenge Europe’s elite once more.